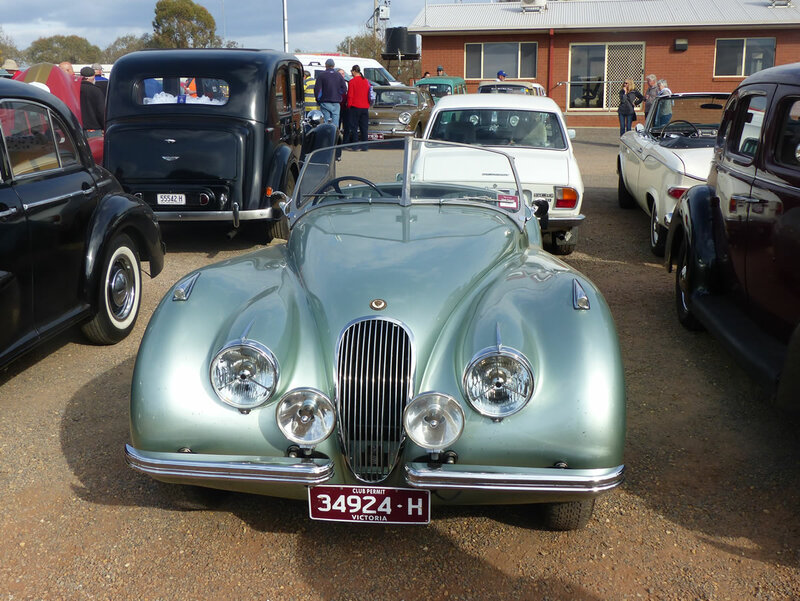 Just a brief report and photographs from Winton ( Vic. ) last week-end. 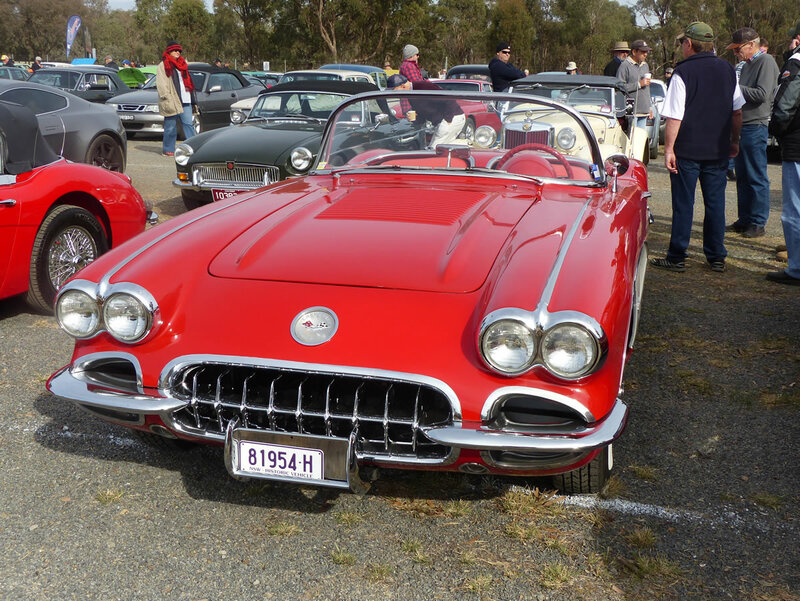 Arguably one of the nicest looking Chev Corvettes ? The weather was a bit chilly but turned sunny and warm both days making it a great week-end for a drive to Winton to view all of the action on and off the track . Winton is truly a unique event, with car and motorcycle racing, featuring vehicles and bikes from the 1920s to the 1980s. Winton car parks always draw a fantastic range of vehicles, including some very interesting and unusual, some lovingly restored while others still very original. 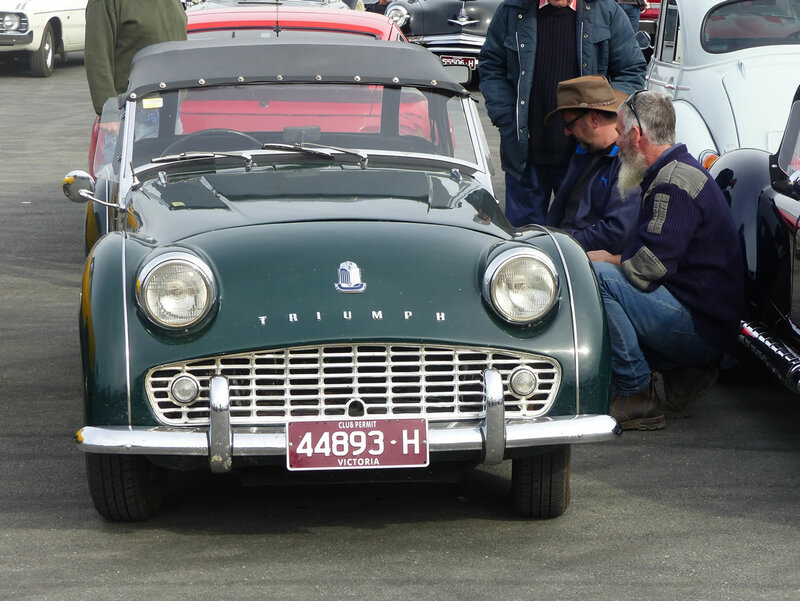 The usual crowd of historic motor sport enthusiasts were on hand including members of the TR Register from South Australia, Tasmania, New South Wales and of course Victoria. Out on the Winton short track, Andrew Gibson TR3A and David Orchard TR2 both put in strong performances in Group SA, while Geoff Fry was in Group Ffa in his 1970 Bowin P4A. 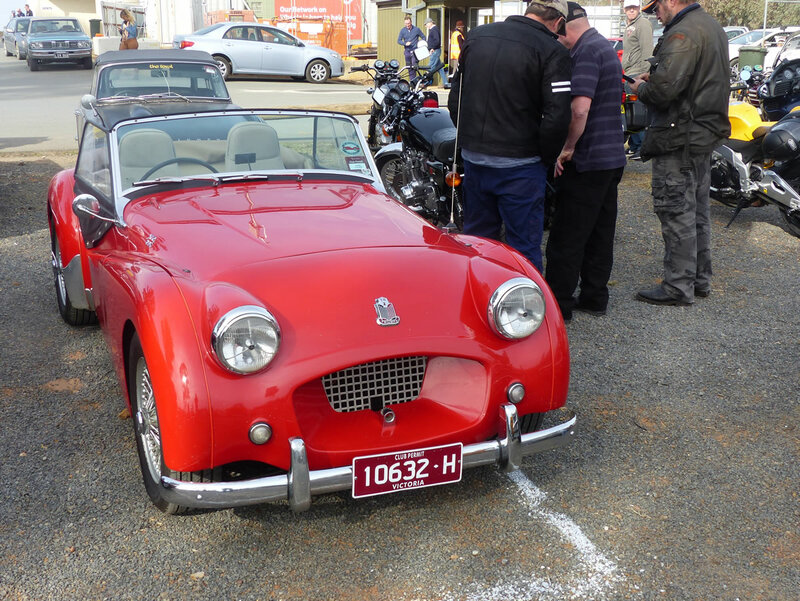 The Austin-Healey Sprite marked their 60th year and was one of the selected marques seen on the parade laps on the Sunday. Winton is always a great week-end.